Almost every one of us believes that we can tap into a greater pool of creativity if we only knew how to use the laws that can unleash our creative powers. This Mindfunda is going to shed a light on where those beliefs originate from. Magic is everywhere right? In the eyes of a child, filled with promises and unfulfilled potencies. In the sunlight that kisses your skin. In the smile from your lover that left this morning. But we almost all have this uncanny feeling that there is so much more that lies hidden behind secret laws. Of course we do not believe in magic anymore. We call it sorcery. But give us ‘The Secret’, based on wishing and visualization and we go wild. Give us the ‘The Celestine Prophecy’ and we change our lives. This craving to learn how to control the laws of nature is just the thing what brought about the Order of the Golden Dawn in the late 1800s. Susan Graf talks about the Golden Dawn in her book ‘Talking to the Gods‘ using a very interesting perspective. She reviews four different authors, all still in print today, according to their magic qualities. The magic qualities they all four had learned about in the Secret order of the Golden Dawn. The Golden Dawn was a secret occult society. The Hermetic Order of the Golden Dawn was founded in London in 1887. This order used esoteric knowledge from many cultures: Egyptian, Hindu, Jewish, Greek, Christian. The aim was to control the laws of nature and accomplish goals that would benefit the world. The world was multi-layered according to the Golden Dawn and an initiate learned, like a shaman, to travel the different worlds using rites. There were different levels a Golden Dawn initiate could attain. At each level the initiate learned more secret rites about how to obtain entrance to one of the total of ten worlds. Each world being based on the Life tree of the Kabbalah, the Sephiroth. World number 10 was the realm closest to the earth and world number 01 was the world closest to God. So Susan Graf shows us the way the four writers: Yeats, Machen, Blackwood and Fortune used this knowledge to climb up to the realm of the Gods. Susan Graf starts her book with a description of the Golden Dawn and its basic merits. A secret society for the upper middle class who tuned into the spiritual upheavel that accompanies the “fin de siècle”. Most of the members were well read, scolars even, that wanted to deal with the tension created between the new scientific findings and their old catholic and protestants beliefs. Her choice of writers to compare: the famous W.B.Yeats, Arthur Machen and Algernon Blackwood belonged to the cultural elite of their days. Dion Fortune did not but she was the one writer who used her books to educate her readers about the magical laws of the Golden Dawn. She got more appreciated in the 60’s of the last century when the “Goddess movement” began its rise. Her book “Applied Magic” is still one of the best magic introduction books around. Dion is the last writer to be discussed in the book and the only woman. She is the only one of the four who openly admitted to be occult. The other three men did not do that. But Susan had a different reason to pick them. Even though all three were secret about their membership and their occult practices, magic was Yeats religion. He had 35 years of involvement in the Golden Dawn and was an established writer rewarded with the Nobel Prize. And even though the occult beliefs of the Golden Dawn are in his work he never openly violated his promise of secrecy. There was a sense that Yeats had of a “greater spiritual mind” that he could tap upon using magic. It enabled him to write Fairy and Folk tales of Irish peasantry. And even though he yearned to tell about his encounters with the fairy people he did not mention his magical knowledge to anyone. 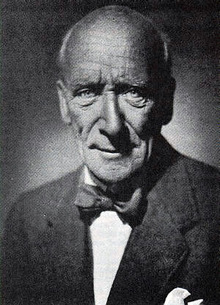 Algernon Blackwood, had like Carl Jung, very a religious father who inspired him to search for his own method of experiencing religion. Blackwood did not get the international recognition like Yeats dis, but his John Silence stories are still appealing today. They paint the hero of the Golden Dawn movement. The concept of God is like an enlightened doctor who travels the world on a healing mission in the service of all that is good and right. Arthur Machen was, just as Yeats and Blackwood, a member of the literary establishment of England and also kept his membership of the Golden Dawn a secret. But he did not capture the worldwide recognition of Yeats. The Great God Pan still is his most read publication. And where Yeats was a Golden Dawn adept, Arthur Machen wanted to be inspired by the knowledge within. He already had a lot of spiritual knowledge. Compared to Yeats he was more reserved towards the Golden Dawn. I have enjoyed reading Talking to the Gods. The perspective of looking at the Golden Dawn influence in the books of the writers gives us a lot of knowledge about the Golden Dawn. Everybody who works with symbols should get their hands on a copy of this book. The use of symbolism by the Golden Dawn has infiltrated todays art, books films and dreams. Reading Talking to the Gods makes you see how the wish for a new era, a new way of living for humanity is a shared vision of generations. This book makes you want to dive into your own rite to communicate with your higher self. Please sign up for my YouTube channel to enjoy all the beautiful Mindfunda interviews with inspiring people. People like Jean Benedict Raffa, Anne Baring, Connie Kaplan, Ralph Metzner Stanley Krippner and P.M.H. Atwater. I will be doing an interview with Catherine Wikholm about her book the Buddha Pill very soon so be sure to sign up and with Justina Lasley about her book Wake Up to Your Dreams: Transform Your Relationships, Career, and Health While You Sleep! Jenna Farr Ludwig Looks like my kind of book! Thanks, Susanne!